Four-string subsonic drone wizard G. Stuart Dahlquist and black-lunged banshee Edgy 59 surely need no introduction at this point – need we mention Burning Witch, Sunn O))) and Asva? – so you can imagine exactly how excited Walter & co were to discover that the gruesome twosome were once more working on music together under the name The Poisoned Glass. So excited, in fact, that as soon as they heard they just had to ask them to play Roadburn 2016. Reactivated in 2015 after a hiatus following the appearance of the bewitching ‘Silent Vigil’ on 2010‘s Falling Down II compilation, The Poisoned Glass eschew the black hole guitars and pounding drums of previous bands, concentrating entirely on the sounds of Dahlquist‘s dense, depth-charging bass guitar and swirling atmospheric organ welded to Edgy‘s utterly recognisable cutting howl and manipulated textures to create a sound quite unlike anything offered by the duo before. The Roadburn crew heard Edgy work with excoriating electronic noise in his short-lived Sarin project and they’ve heard Dahlquist utilise organs and bass in unison in the latter days of Asva and on the recent Dama / Libra record, but never like this. 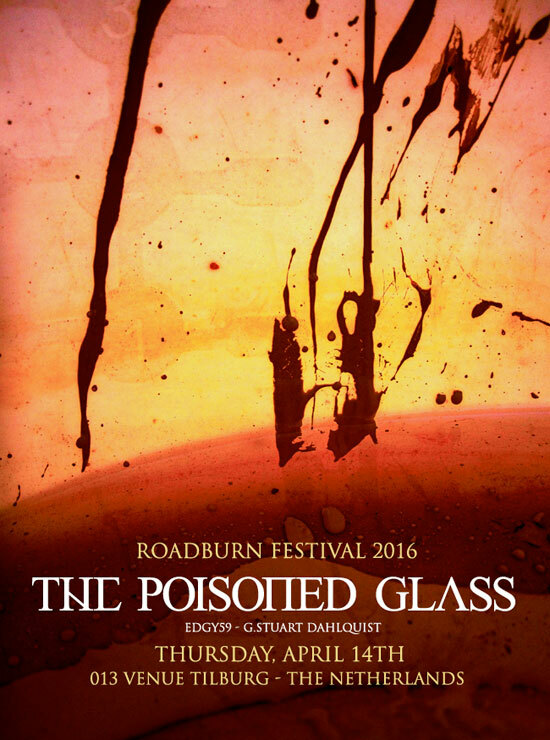 Minimal yet maximal, airy yet dense and thoroughly eerie, The Poisoned Glass sounds like nothing else and following Roadburn, the world at large will get to sup their strange brew when Ritual Productions unleash their debut album in Spring 2016. Walter & co echo that sentiment and look forward to drinking deep of The Poisoned Glass at Roadburn 2016 on Thursday, April 14 at the 013 venue.